With Halloween and Bonfire Night down, it’s definitely time to start thinking about the festive period. So, let’s batten down the hatches on these dark and cold evenings and get cooking up a storm in the kitchen. Here are 10 items you need in your kitchen to get you through the festive season! In a time when there’s sweets, cake and snacks all around the home, get yourself anything from a handheld to a mechanical spiralizer and get back to eating your salad and veg, in delicious but nutritious recipes. It’s finally time for the season of soup to return! Get your pumpkins whilst they’re still in the supermarket, grab some lentils and veg and blend away for a healthy and warming treat. It’s time to cheers in the New Year so make sure you’ve got a corkscrew or two handy to crack open the bubbles! With all the family around you this festive season, you don’t want to waste too much time in the kitchen, so get your dinner into the slow cooker in the morning and leave it bubbling whilst you unpack the board games. Get all your veg chopped up and swiftly into the pan without a carrot pile-up on the kitchen floor with a folding chopping board. If your Christmas Day is anything like ours, we’ve definitely cooked one too many types of vegetables. Trying to juggle all of those timings is difficult so get a couple of hot plates set up on the side to keep food warm whilst you’re waiting for the last few bits which, inevitable, took longer than planned! If there’s any time to invest in an electric carving knife, this is it – that turkey’s waiting! For the next few months, you’ll start to fill up every fridge and cupboard in preparation for the festive season, and chances are you’ll cook way too much. So, to save on waste, box everything up and use up your leftover turkey for sarnies, veggies in a stew and consolidate those ten boxes of Celebrations into one! Has the festive period given you a bit more time to get creative in the kitchen? Get out your spices and oils to create sauces and marinades and get making some tasty treats in the kitchen. 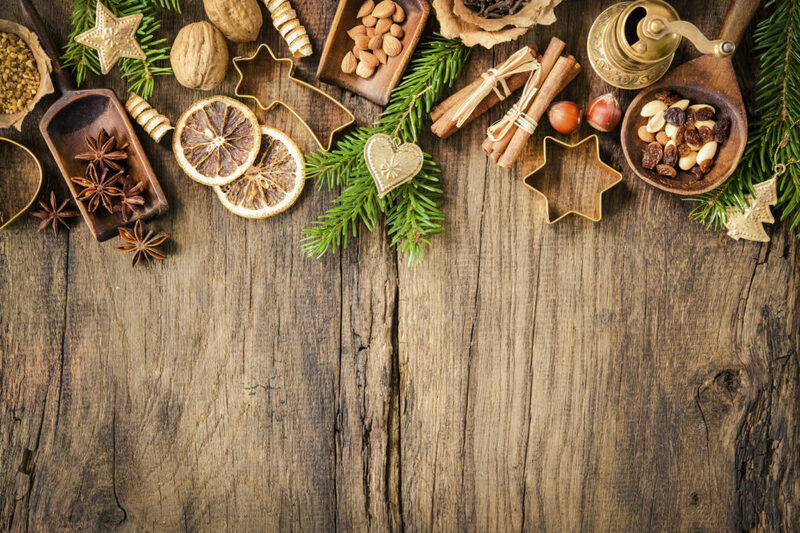 Here’s 10 things you’ll definitely find a use for over the festive period, so stock up, and make sure you make the most of your kitchen over the coming months.